Amanda here. In honor of Father's Day Sunday, Dad is turning over the blog to me, to post a letter I wrote to my grandfather on Father's Day two years ago, around the time we were working diligently on the book of the War Letters between Catherine and James Neville. It was odd and amazing to me how much I was getting to know this man I never thought I'd know, through his deepest thoughts of love and life. I wrote this letter the week that Peter Cammarata died, so surely death and sadness and family were on my mind. Peter Cammarata was one of Duke's old war buddies who, through a story that deserves a blog post all its own, we tracked down after 60+ years. We found a few of his other fellow soldiers who were mentioned in letters to Catherine as his friends, and whom he'd exchanged letters with even after they parted ways during their time in the service. Some were alive, and some were not. Some wanted to hear from us, to receive the package we offered of the return of their letters, and at least one responded kindly, but firmly that he'd put that part of his life behind him. But Peter was the most special. Their friendship had seemed the strongest, and his letters had been the longest. And in finding him we found his daughter Jean, a lovely woman eager to hear stories of her father and as grateful for the letters we were able to return to her as you can imagine. We learned that Peter was ill, and we were lucky to get to communicate with Jean, and Peter, and his wife Ann for a few months before he died, allowing him to know that a good friend from long ago kept his letters safe. There's more to the Peter Cammarata story, and hopefully this will be motivation to tell it soon. But back to THIS letter... Dad was a little hesitant to let me put this out there; he can actually be humble and shy and was afraid this letter was too much about him. But I insisted, and like any good father, he let his daughter have her way. Enjoy, and Happy Father's Day. 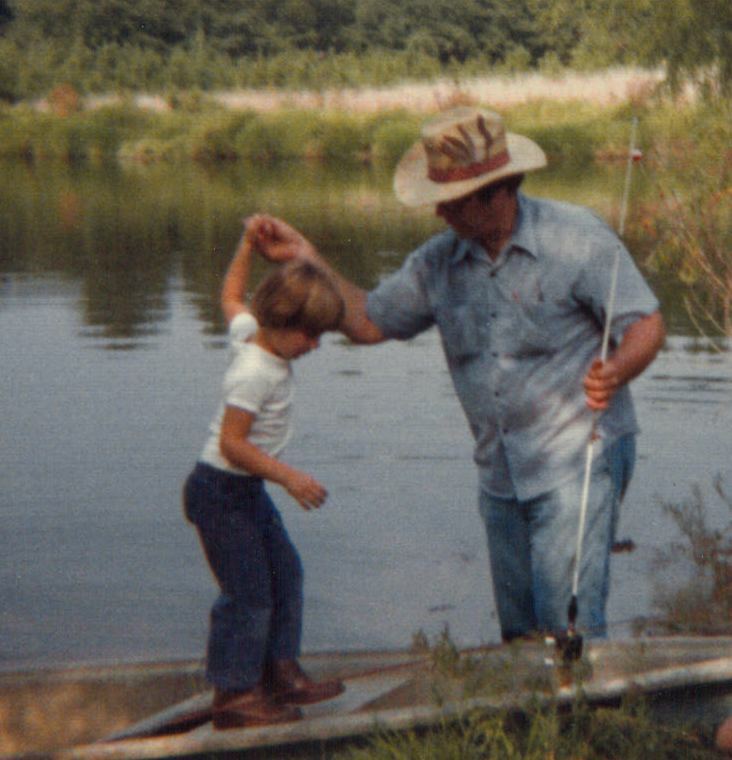 I know I should call you Papa, as we were taught to do growing up, but you died before I could speak, so I never really got to call you anything at all. James Neville seems a bit formal, a bit distant. So I’m going to call you Duke, which is how I really know you, as that is how you’ve signed off the hundreds of letters of yours I’ve read. 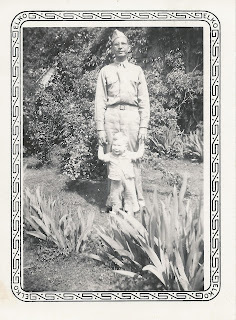 When my Dad (that’s Jimmy to you) and I began our first project with your letters, the ones from Burritt College in Spencer, I knew you and I would really get along if you were still here. There is so much of you in my Dad, and some in me too. You were funny and smart and neurotic and loving and kind. You were lost and so desperate to be found. Recently, reading your letters from World War II, I find myself wishing so much that you were here to be a part of this, to laugh along with the stories from the Army, to cry at the depth of your love for your wife, to re-live the feelings of loneliness and helplessness and despair, or the feelings of joy and exhilaration when you got to reunite with your family for a week or two. Speaking of Dad, you’d be so proud of Jimmy. This sounds like such a cliché, but he is truly the most wonderful dad in the world, giving his children more love than he seems to gives himself credit for, a self-doubt that must be inherited from you. He has shown me how to use a jigsaw, how to use logic, how to operate a forklift, how to blow my nose, and how to fish, all things that seem small or silly, but have created a wealth of good memories so deep I can draw upon them forever. He taught me to play Crazy 8’s when I was five, how to win big at 21 when I was 30, and together we solved “5 Minute Mysteries” when I was 10. He makes self-deprecating remarks about not being around when I was young, but he has no idea how much he was truly there for me growing up and now, well, when I’m still growing up. His famous “numbered lectures” are as useful as a father’s advice to his children can ever be, which is to say, a lot. His ability to write me just the right letter when I needed it is evidenced by the file of notes and cards I have from him dating back many years. His gift for making me laugh is well-proven. He sometimes doesn’t have more than a few nickels to his name, but he’ll give you his last one if you need it. I think he got your sweet tooth too. And I know you loved my mother Katherine, but you’d love his now-wife Marty just as much. She is smart and kind and loving and she balances him out in a way that I think you and Catherine balanced each other so well. And your beloved Catherine, she is truly amazing. After your death, she surely grieved, but just as she told you in one of her most powerful letters, she did not let your absence control her life. She took up photography and travel. She continued to teach and was one of the first inductees into the Tennessee Teacher’s Hall of Fame. She embraced the role of matriarch of the family with aplomb, hosting Thanksgiving meals, ruling over games of dominoes, Scrabble, and Michigan Rummy, and doling out gifts and love to all of her grandchildren, and now great-grandchildren, equally. She became one of the most respected members of her adopted community of Tiptonville, where she still attends the Presbyterian Church, and for years remained active in too many civic causes to name. You remained her one true love, but she filled her home with things that made her happy. She’s not doing so well now, but you’d still find so much to love about her. I wish you could see her recite poetry just like she was back at school in Memphis. There’s so much to tell you, about me, about Dad and Cathie and Richard, about Catherine and Tiptonville. About the world, where a U.S. first-class stamp is now 44 cents, where you can make a phone call from an open field, where there’s an invention called “email” that would totally blow your mind. And where wars are fought with much less moral purpose than you’d ever imagine. By the way, Germany is one country again and Japan is one of our strongest allies. Oh, and if you ever wondered about the importance of your life and your contributions to the world, let me put your mind at ease. In addition to bringing your lovely bride back to your hometown to raise your three lovely children, where they are all respected and loved, you’ve inspired countless people through your teaching and remain the favorite of many who darkened the hallways of Tiptonville and Lake County High Schools. You were well-remembered by at least two of your army buddies, and most surely more, had we gotten to them earlier, as a good friend during a trying time. It is times like these that I want to believe in Heaven so that I could think of you and Peter Cammarata reuniting this week. You have shown me, and no doubt anyone else who read the first collection of your love letters, what true and deep and abiding love should look like, and while most of us won’t achieve what you two had, it’s something to strive for. And this, by the way, is all gleaned from letters written over only two years and a few months, in only two different times of your life, plus a few anecdotes I’ve heard over the years (the one about the time you caught your pants on fire is a favorite). Just imagine all the things I’d know about, and all the things I’d have to laud, if I had letters that peered into your mind for the other sixty years of your life. Anyway, I could go on and on. But it’s Father’s Day and I’m writing this letter to you as a gift to my father, so I should sign off soon to get it in the mail on time. You remember what that’s like. I just wanted to thank you for giving me my father. For teaching him to be the man that he is today. For loving your family the way you did. And for something I bet you never imagined, for giving us these letters to know you by, to learn so much from, and to bring my Dad and I even closer together. I never knew you, and yet now I know you, and all the while I miss you so much. Well, if there is a dry eye in the house, they are not in my head. An extraordinarily well written letter, one I keep right by my reading chair. No dry eyes here, either! Thank you for sharing such beautiful thoughts. Your daughter shares traits of both Mr. James Neville and "Miss" Catherine. She must be a special young lady. I truly enjoyed the above writing.